Naomi:Welcome to the Magoosh IELTS Podcast! This is Episode 24. In this episode, you’re going to learn about IELTS practice tests, including what makes a good IELTS practice test, where to find them, and how to use practice tests as part of your IELTS test preparation. First Eliot and I will discuss why it’s important for students to study for the IELTS using practice tests, then we’ll give you some tips on where to find high quality IELTS practice tests online. We’ll end by talking a little bit about how you can use practice tests as part of your IELTS study routine. 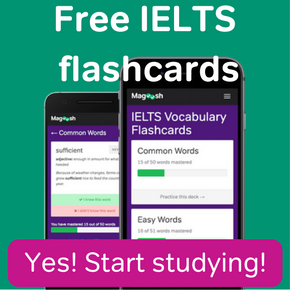 Check for a link to the free Magoosh IELTS Practice Test in the show notes. 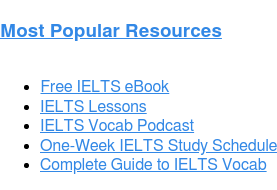 Today we’re going to talk about IELTS practice tests, where to find them, and how to use them. So Eliot, why is it important to take practice tests when preparing for the IELTS? Eliot: On test day, you won’t just do a handful of problems at a time—you’ll have to answer many in a row. Taking practice tests helps you build endurance and get comfortable with the format of the test. Naomi: Okay, that makes sense. When you’re studying for the IELTS, practicing specific skills—like vocabulary—is important…but you won’t know if you’re fully prepared for the exam until you take a full-length IELTS sample test. Eliot: Exactly. Building endurance is an extremely important part of your IELTS exam practice, so practice tests should have a big role your study plan. Naomi: So how many practice tests should students be taking to prepare for the IELTS? Eliot: Ideally you should take one practice test every week. Naomi: That’s sound like a lot of practice tests! Eliot: Yes—it is a lot, but if you stick to this schedule you’ll be extremely well prepared for the real exam. Naomi: So what are some of the benefits of taking practice tests, besides building endurance? Eliot: Taking an IELTS practice test will teach you what to expect on test day. The sample exam can also show you your strengths and weaknesses, so you can focus your studying on the areas you need to improve the most. Naomi: What about if you’re already in the middle of your IELTS preparation? Eliot: If you’re in the middle of your IELTS prep, taking an IELTS practice test can show you what’s working in your preparation and what’s not. Naomi: And if the exam is only a few days away? Eliot: If test day is around the corner, taking an IELTS practice test will give you an idea of what score you can expect to get on the real thing—that way you can go into the exam a little more relaxed. Naomi: Sounds great! So where can students find these practice tests? Eliot: Well, a quick Google search will pull up tons of IELTS practice tests. But the trick is to find IELTS sample tests that truly good quality. Naomi: And what makes a practice test high quality? Eliot: Not all IELTS practice tests have questions that are like the ones on the real test. If you take a practice IELTS test that’s not much like the real one, you won’t be prepared for the actual exam. Naomi: Okay, so how can students know the practice test they’re using is realistic? Eliot: The best IELTS online tests are the ones from the official IELTS websites. Every website offers a free IELTS practice test PDF, or rather multiple IELTS practice test PDFs. 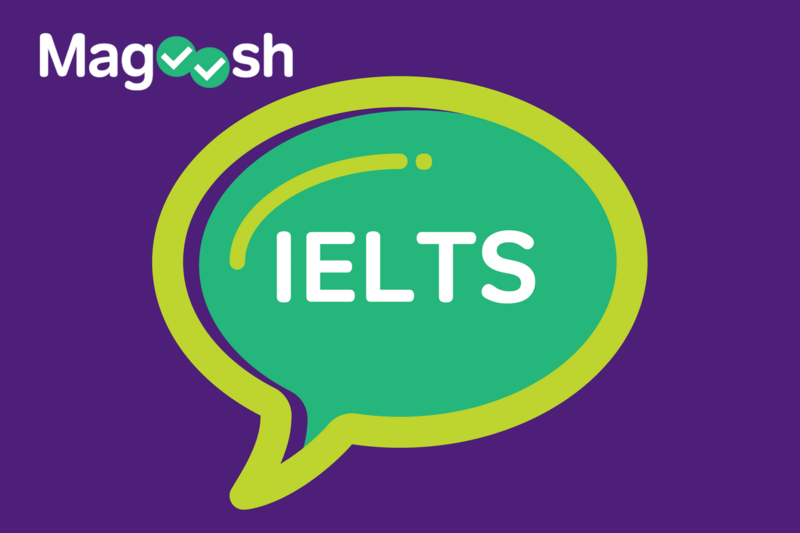 Naomi: Doesn’t Magoosh also offer a free IELTS practice test? Eliot: Yes! We recently put out a high quality, full-length practice test, which is available on our website. It’s a PDF you can download and print out. Inside this PDF you’ll find questions that reflect exactly what you’ll see on test day. 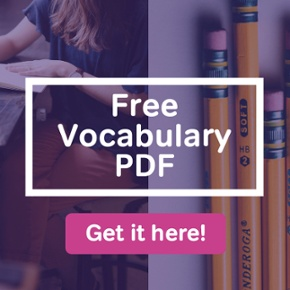 Naomi: So the PDF includes an IELTS Reading sample test, an IELTS Listening practice test, and also IELTS Speaking practice and IELTS Writing practice? Eliot: Yes, just like the real thing! Before we find out how to take an IELTS practice test, let’s pause for a word from Magoosh. Naomi: So Eliot, do you have any advice on how students should use practice tests in their IELTS study routines? Eliot: Yes. You’ll need to take the practice tests under the same conditions as the real IELTS exam. Naomi: So you’re saying students should act as though they’re actually taking the real IELTS exam every time they take a practice test. Eliot: Exactly. Start by making sure you’re taking the test in the right order. First complete the Listening section, followed by the Reading section. 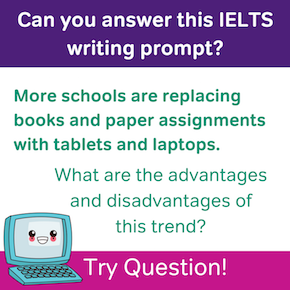 Then complete your two IELTS Writing tasks. And end with the IELTS Speaking interview. Naomi: What about breaks in between sections? Eliot: There are no breaks during the first three sections of the IELTS test. Naomi: So for a truly IELTS-like practice test, you should go straight from Listening to your IELTS practice test Reading section, and then straight from Reading to the IELTS Writing section? Eliot: Right. And then there will usually be a break between IELTS Speaking and the rest of the exam. To know how long that break will be, check with the exam center where you’ll sit your IELTS. Then use the correct break time in your own IELTS sample tests. Naomi: Good idea. And it’s also important that you time yourself, right? Eliot: Yes, you absolutely must take your practice tests according to the real IELTS schedule. During your practice tests, keep a clock or a timer app (such as Google Timer) in plain view. Naomi: So if you’re using a timer you would set it to 30 minutes for Listening, 10 minutes for transferring Listening answers to the answer sheet, 60 minutes for your IELTS mock test Reading section, and so on? Eliot: Right. Learn to monitor your own time, without glancing at the clock too frequently. With enough practice, you’ll get a strong sense of the IELTS time limits. By test day, you may not even need the proctor’s guidance at all. Naomi: Ok, so you’ll take your practice test with a timer…but there’s more to time management than just watching the clock, right? Eliot: Absolutely. You should also practice pacing skills. This means making the best use of the time you’re given for a section or task and learning how to work quickly enough to finish all the questions on time, without rushing and making mistakes. Naomi: How can students work on their pacing? Eliot: When you first start doing IELTS practice tests, don’t stop when your time is up. Instead, take as long as you need. This allows you to focus on accuracy—the most important IELTS skill—first. 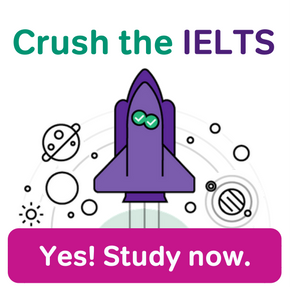 Eliot: As you get more comfortable with the IELTS questions and tasks, you’ll also get faster. Soon, you’ll be ready to hold yourself to the time limits. Naomi: But you don’t need to follow them at first? Eliot: Right. The most important thing is that you complete all the questions and keep learning from your mistakes. As you get more comfortable with the test, you’ll get faster. Naomi: So the bottom line is: take a lot of realistic IELTS practice tests? Eliot: That’s it! And you can get started right now with Magoosh’s free IELTS practice test PDF. Just make sure to set aside approximately three hours of uninterrupted time to take the test. Naomi: After the test, check your answers and make note of any questions you missed!